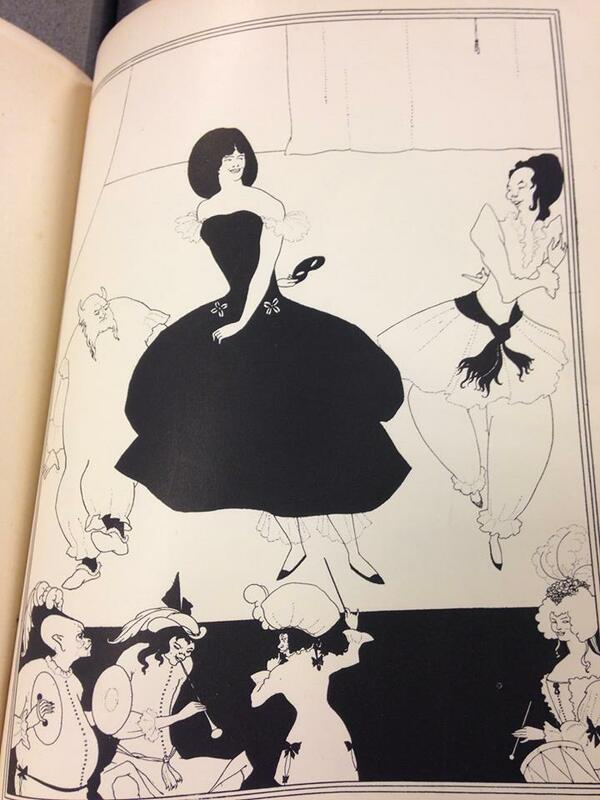 The idea for the journal began in the minds of Henry Harland and Aubrey Beardsley, who both wanted to start a new publication that promoted their “defiant” literature and artwork. They were pioneers of the decadent movement in England, a movement already well established in France, which was known for its bizarre and modern artwork, its emphasis on an appreciation for art, and its deviance from the strict morality that Victorian literature avidly promoted. And the color that came to symbolize this movement, that signaled the end of an era, was the bright and daring yellow seen on the cover of this book. Thus, one can imagine the notoriety and buzz in London upon the release of a new magazine called, “The Yellow Book,” whose title advertised its purpose. The very format of this book demonstrates its shift away from the traditional Victorian literature. For one, Harland and Beardsley came to the resolution that this magazine was to be bound like a book so that it could sit on the shelves in Londoners’ homes and be read multiple times. Published by Bodley Head in London, it was created for a widespread audience. One can tell from the pages of this copy that it has touched many hands and has influenced many people. 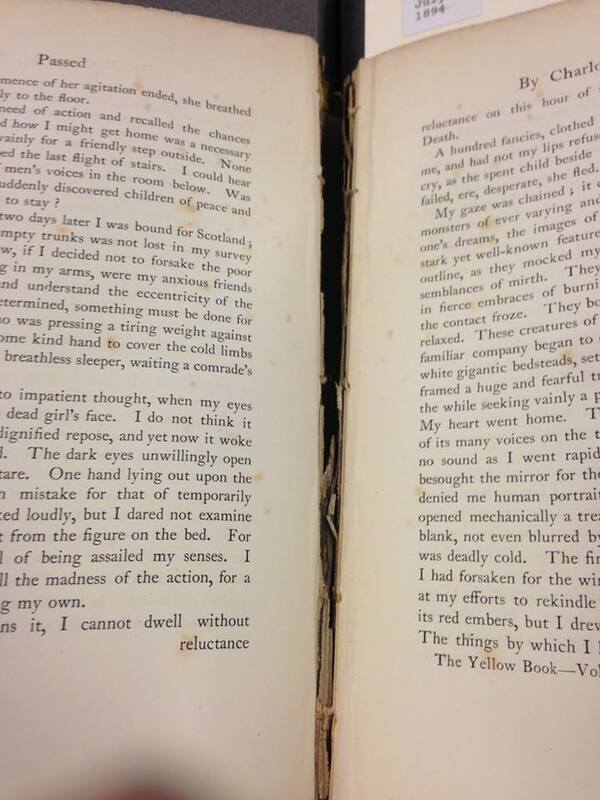 The pages are rough on the edges and are uneven with a slight yellow taint, indicative of old age. Additionally, the binding is loose, a result of frequent use and page-turning. However, the black ink of the words and the wood-block art from Beardsley stand in sharp contrast to the page, preserving the integrity of its original message. Even the strict separation of art and literature is a movement away from the Victorian style, where art almost always accompanied the literature. In this book, the art and literature stand on their own, with each piece eliciting different reactions from the audience. Beardsley’s art in particular was known for its shock factor, illustrating provocative women that defied the normal gender roles of the time. Finally, this magazine differed from most of the literature in previous decades in its publication of stories. It would not release serial novels; rather, it would publish full pieces in each volume. After its first publication in April of 1894, The Yellow Book gained widespread notoriety because it was so different from previous Victorian literature. However, in April of 1895, the magazine took a sharp turn for the worse when it became wrongly associated with the arrest of Oscar Wilde. Subsequently, Beardsley was removed from the journal due to his association with Wilde, and The Yellow Book “turned grey overnight,” losing many of its decadent qualities until its eventual demise in 1897 after publishing thirteen volumes. Ultimately, the 1890s was a decade separate from the Victorian era, a decade of transition towards a new era, and a new movement. 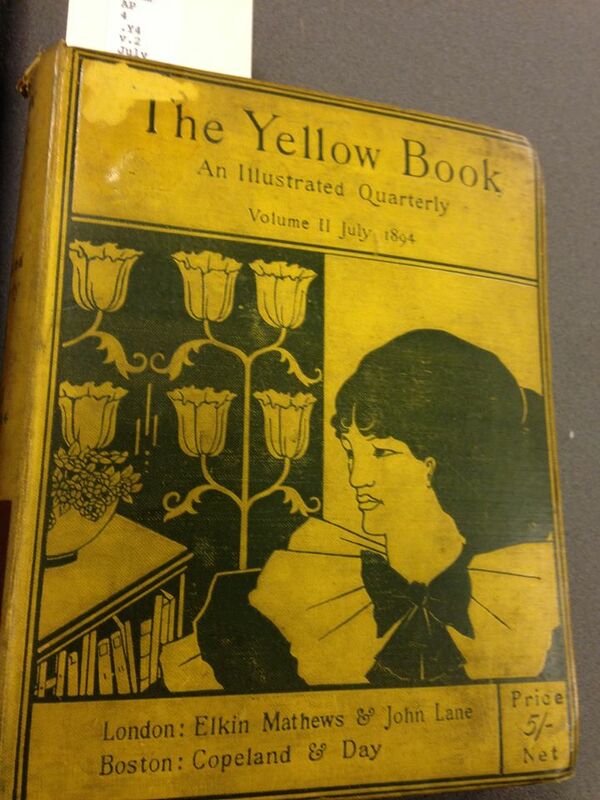 And the publication that led the way for this transition was The Yellow Book.